Interestingly, a plumber can never do an electrician’s job, and an HVAC professional can never help as a carpenter. Essentially, it is working to fit a slice of orange into a garlic bunch. The two won’t fit, no matter what, leaving you distressed. These basics apply to your home appliance repair, too. A fridge repair is best undertaken by a professional in this line of work. 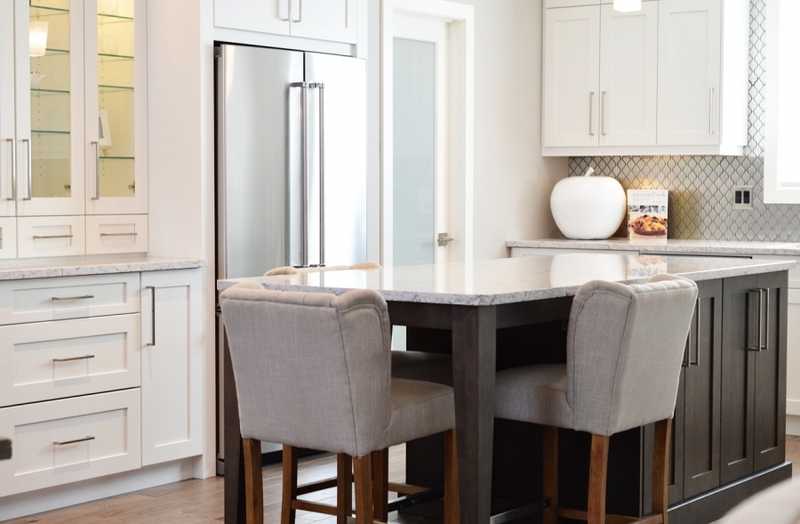 There’s no denying that you have the option of fixing the fault in your refrigerator yourself, however, certain fridge repairs are beyond cleaning the grills or unblocking the defrost drain. Such works need a professional to be corrected. When a biologist tries to solve a complex mathematical equation, he only ends up wasting his time. This happens with you, too, when you try to simplify refrigerator problems and work on them yourself. There are possibly two outcomes to such a scenario: Either you end up trying for hours with no progress, or you achieve success, only to find out that your fridge crashes again later on. Such short-lived progress only adds up the hours that you spend on finding and solving the problem. Unless you’ve time at your disposal, you can’t be too happy to DIY repair your fridge, only to try again, and then another time. Besides, there is no denying that your food can easily become spoiled if its cool home isn’t repaired quickly. In this regard, a simple time-saving trick is to hire a professional. Not only does a professional appliance repair service save you time, but it also solves the problem effectively. As your fridge ages, the likelihood of faults increases. The Huffington Post confirms that icemaker-bearing refrigerators, for example, tend to break within 3-4 years of their purchase. Consequently, you will need an increasing number of repairs and proper maintenance to keep your fridge going. The odds of needing another fix up go down if a professional does the work. This is because experts ensure good quality work. Furthermore, a DIY fridge repair can backfire by culminating in more damage to the appliance. That’s not the case with a trained service provider, though. Dial an Appliance Man to lessen the risks of damage and extend the life of your refrigerator. If you have only just bought your refrigerator and it needs fixing, then your first move should be to call an authorized professional. This is crucial because your warranty will stand invalid if you attempt to repair the fridge yourself. The warranty that comes with home appliances is applicable as long as a professional checks and works on your device. If you try to inspect the fault yourself, your efforts may lead to more damage, which ends your appliance warranty that covers matters such as manufacturer defects. Another prominent benefit of hiring a professional entails your safety. Refrigerators are complicated appliances that include both electrical and plumbing components. Consequently, faults in a refrigerator can birth a fire. It is also possible that you end up concluding that you’ll simply just replace the appliance if you can’t seem to fix it. For one, it is a costly option. ImproveNet outlines that a top-mounted freeze model of a refrigerator costs between $350 and $600. Moreover, the cost of bottom-mounted freezer refrigerators lies between about $800 to $1,200. Secondly, this option can be harmful to the environment. Instead of disposing of appliances, consider hiring a professional to repair the damage. In most cases, a professional appliance service provider can mend the issue. It is only in rare cases that they may not find a solution to your problem. Hence, it is best to cut the number of appliances in the waste landfills by working on repairing the fridge professionally. Although you can save some dimes by repairing your refrigerator on your own, the fix-up can result in more damage. It is also vital to consider the safety concerns, time required for the work, and the effectiveness of the repair. On all these fronts, a professional repair is a bright idea.